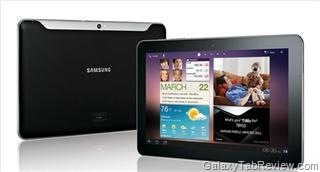 Even though Android operating system lets you easily mount your tablet as USB flash / mass storage drive, it is not that simple to mount the 10.1 Galaxy Tab as USB storage. However, there is a way on how to enable it. Read this tutorial to know how. First, download USB drivers from Samsung’s website – link. Install them and restart your computer. Make sure you have turned off USB debugging. It is important to turn this option off (comes enabled by default). Connect it to the computer and your Tab 10.1 will appear as USB flash drive. Now, you can easily and quality transfer your movies and songs.